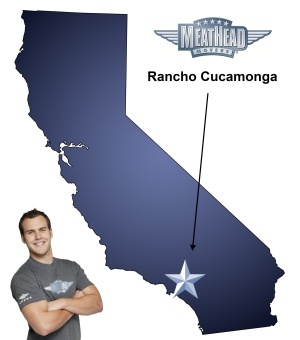 Whatever your moving needs may be, Meathead Movers will help you feel at home in Rancho Cucamonga. Our professionally trained student-athlete movers and our moving concierge will be with you for the entirety of your move to Rancho Cucamonga. Rancho Cucamonga, California, provides a suburban retreat in San Bernardino County. The city is composed primarily of residential areas with several planned shopping developments in central locations. If you are considering moving to Rancho Cucamonga, we are happy to be your Rancho Cucamonga movers of choice. Rancho Cucamonga has ranked in Money magazine’s best places to live in the U.S. and boasts a well-respected public school system. The city offers several public facilities, libraries, and parks to residents. The warm desert climate is particularly attractive to retirees and outdoor enthusiasts. Rancho Cucamonga was incorporated in 1977, combining several smaller communities into the present-day city. The city has a rich history, and was once part of the Mexican Rancho Cucamonga, lying adjacent to the Mojave, Old Spanish and Santa Fe trails. California Interstate 15 and the 210 Freeway run through Rancho Cucamonga, allowing easy access to southern California and southern Nevada. The Metrolink train system also runs service from Rancho Cucamonga into Los Angeles and Orange counties. Residents are close to the Ontario International Airport which means they have quick access to other domestic and international locations. At Meathead Movers, we have more than a decade of experience with commercial, local, and long-distance moves. We support you during every phase of the moving process, to make your move as stress-free as possible. Some of our services include packing, storage, on-site relocations, and our distinctive moving concierge service, which connects you with local service providers. We know that you want to choose the best Rancho Cucamonga movers. All our movers are clean-cut student-athletes who are 100% drug free. We give our movers incentives for providing excellent customer service and for taking extra care with your items. To make the moving process as seamless as possible, our office staff use proprietary software to arrange and track your move. We have the experience necessary to execute efficient local and long-distance moves without any hitches. If you will be moving from outside the area, we guarantee that the same movers will be with your prized possessions during every phase of your move. Moving to Rancho Cucamonga signals a new, relaxed chapter in your life. Please contact us for your free, no obligation moving quote today. Meathead looks forward to being your Rancho Cucamonga movers. Moving to Rancho Cucamonga? Here are some helpful resources. View more Rancho Cucamonga resources. The two guys that did the move were amazing!!! Such fantastic service!!!! Everyone was friendly professional and always helpful with questions when making and confirming my move. Nate and Ben were great on move date. This was the 5th time I’ve used Meathead movers for myself and my clients. Thanks much to all at MeatHead movers. They were nice, fast and handled my things with care. Your movers were awesome! They took great care of our stuff and were very helpful. If we ever move again we will be calling you guys! The price was steep. 1 guy hustled the other walked slow and wasn’t helping till I kept asking him let’s go. 1 1/2 hour to break down a bed no tools we had to supplie a drill from our maintenance and no time to put bed back together. Thank for the help better than none but could’ve worked on better customer service in the area of hustling I mean that’s why I bought the service. Hard work when young makes easy work when you golden.